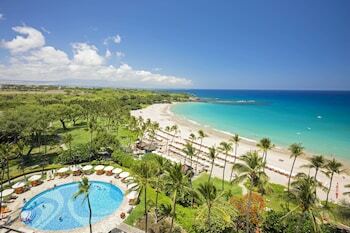 When you stay at Mauna Lani Bay Hotel & Bungalows in Kamuela, you'll be on the beach, within a 15-minute drive of Hapuna Beach State Park and Waikoloa Beach Golf Course. 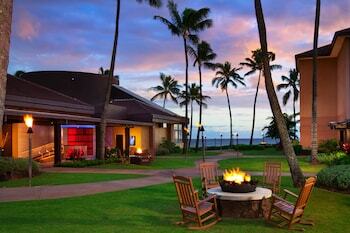 This 4.5-star resort is 6 mi (9.7 km) from Waialea Beach and 8.3 mi (13.3 km) from Mauna Kea Beach. 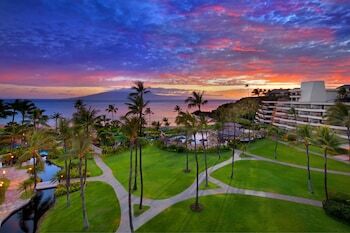 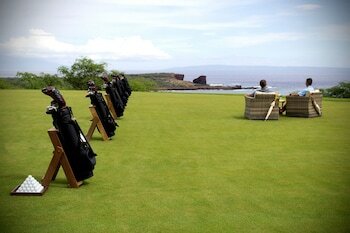 Located in Lanai City, Four Seasons Resort Lanai is by the ocean, within a 5-minute drive of Manele Golf Course and Pu'u Pehe. 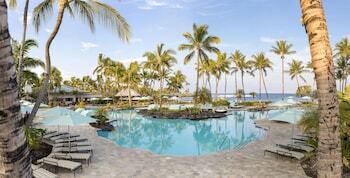 This 5-star resort is 4.6 mi (7.4 km) from Kaunolu Village Site and 7.7 mi (12.4 km) from Munro Trail. 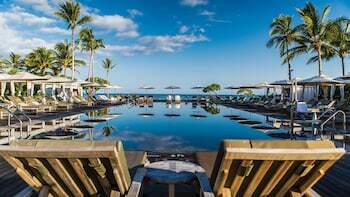 With a stay at Grand Hyatt Kauai Resort and Spa in Koloa, you'll be on the beach, within a 5-minute drive of Poipu Beach and Poipu Bay Golf Course. 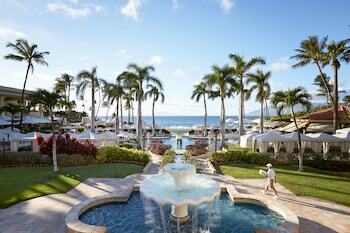 This 4.5-star resort is 14.4 mi (23.1 km) from Nawiliwili Harbor and 14.5 mi (23.3 km) from Kalapaki Beach. 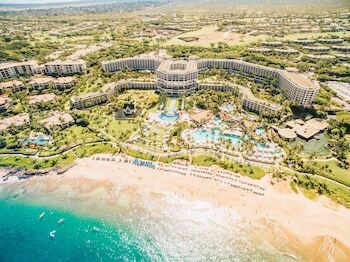 With a stay at Koloa Landing Resort at Poipu, Autograph Collection in Koloa, you'll be on the waterfront, within a 5-minute drive of Poipu Beach and Moir Gardens. 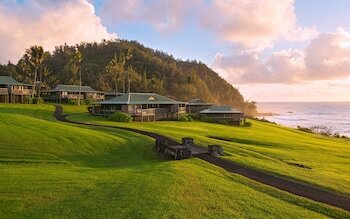 This 4-star resort is 15.3 mi (24.6 km) from Nawiliwili Harbor and 15.4 mi (24.8 km) from Kalapaki Beach. 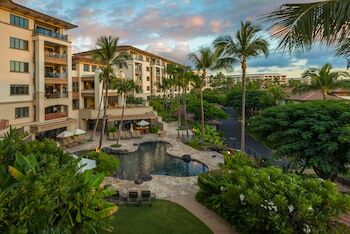 With a stay at Ho'olei at Grand Wailea in Kihei (Wailea), you'll be within a 5-minute drive of Wailea Beach and Keawakapu Beach. 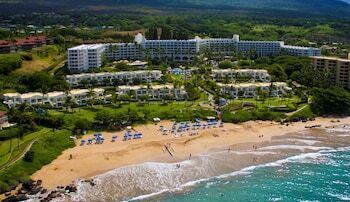 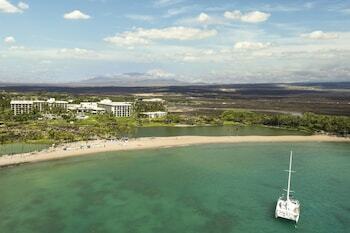 This 4.5-star resort is 2.5 mi (4.1 km) from Kamaole Beach Park 3 and 3.9 mi (6.3 km) from Makena Beach State Park. 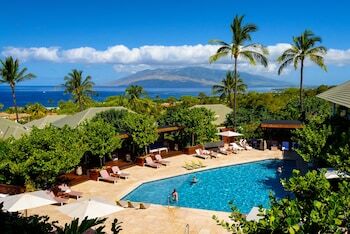 Located in Kihei (Wailea), Wailea Beach Villas, A Destination Luxury Hotel is a 4-minute walk from Shops at Wailea and 12 minutes by foot from Ulua Beach. 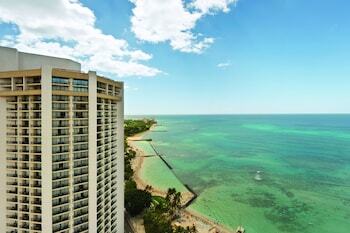 This 4.5-star condominium resort is 0.5 mi (0.9 km) from Ulua Beach Park and 0.7 mi (1.1 km) from Mokapu Beach. 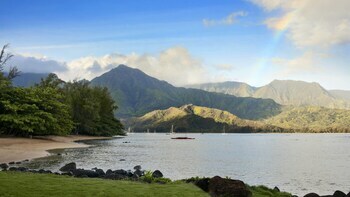 Located in Hana, Travaasa Hana, Maui is in the historical district, within a 15-minute walk of Hana Cultural Center and Red Sand Beach. 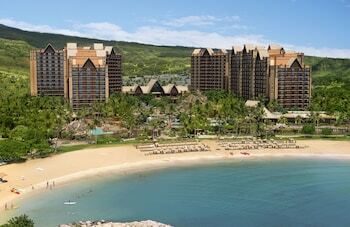 This 4-star resort is 0.7 mi (1.2 km) from Fagan Memorial and 0.7 mi (1.2 km) from Fagan's Cross. 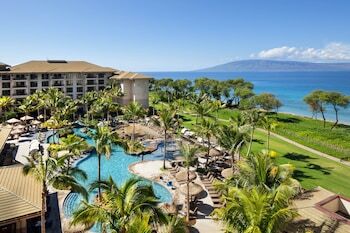 When you stay at The Westin Nanea Ocean Villas, Ka'anapali in Lahaina, you'll be on the beach, within a 10-minute drive of Whalers Village and Kaanapali Beach. 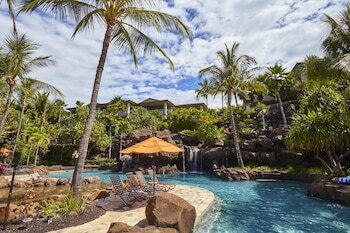 This 4-star condominium resort is 4.3 mi (7 km) from Napili Bay and 4.8 mi (7.8 km) from Kapalua Beach. 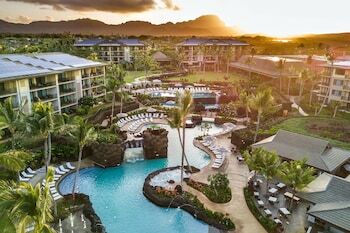 Located in Kapolei, Aulani, A Disney Resort & Spa is by the ocean, within a 5-minute drive of Ko Olina Golf Club and Ko Olina Marina. 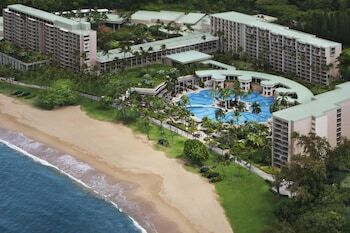 This 4.5-star resort is 2.9 mi (4.6 km) from Kahe Point Beach Park and 6.1 mi (9.8 km) from Ka Makana Ali'i - The Center for West Oahu. 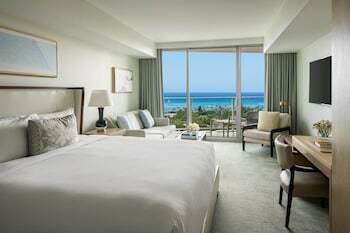 With a stay at Four Seasons Resort Oahu at Ko Olina in Kapolei, you'll be on the beach, within a 10-minute drive of Wet'n'Wild Hawaii and Ko Olina Golf Club. 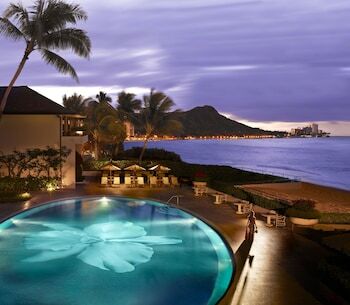 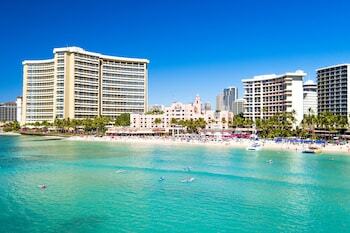 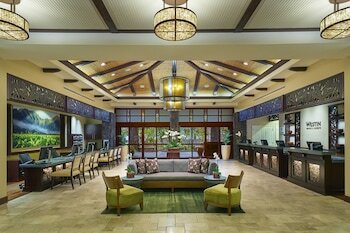 This 5-star resort is 13.4 mi (21.6 km) from Waikele Premium Outlets and 17.6 mi (28.4 km) from USS Arizona Memorial.